Academic success in high school is a challenge for many young men. For those who are struggling to keep up their grades, academic success becomes more like academic survival until graduation. The academic efforts of high school students can sometimes be hampered by a school system that is underfunded, overpopulated and/or filled with peer pressure and drugs. Whatever the reason may be, it is easy to understand why academic success is hard to achieve for many teenage boys. Marine Military Academy is an educational alternative for parents who are looking for a school that can help their son succeed not only in high school and college, but in life. MMA develops college-ready young men that can take on the challenges of the future! Academic success at Marine Military Academy is more than just an advertising term, it is the school’s entire purpose! MMA has a proven record of helping students increase their grade point average and preparing them for college-level work. On average, the GPA for new students increases by 1.71. Also, 100 percent of MMA graduates are accepted into colleges or universities. MMA has a long list of alumni who have graduated from college and gone on to enjoy successful careers in the public and private sector. Though most MMA graduates do not enter the military after graduation, those who choose to serve their country perform exceptionally well and usually become high-ranking officers. Whatever path he chooses, an MMA graduate is ready for the challenges of college and his life beyond it. 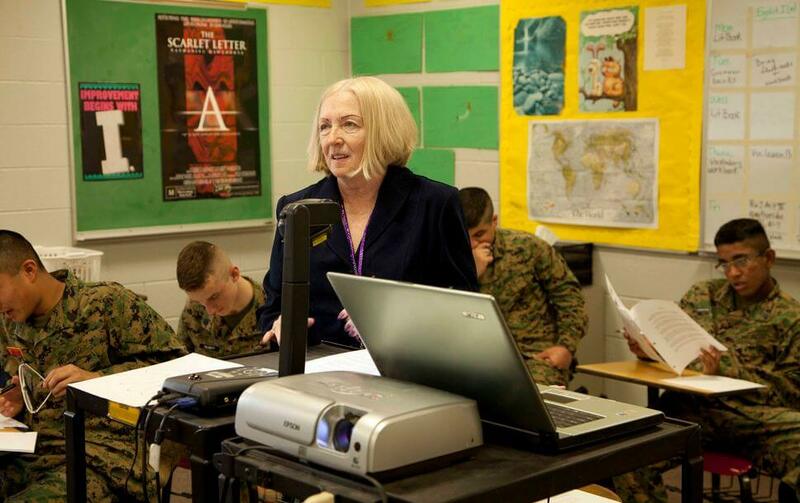 At Marine Military Academy, the teachers are the foundation for success. The faculty is comprised of strong, experienced teachers. The teachers have an average of 18 years experience, and 58 percent of them hold advanced degrees. Not only are the teachers well qualified, they are able to teach small classes. With an average class size of 12, teachers have more interaction with the cadets and can identify learning differences early on. The teachers also have more time to prepare their lessons and assist the students rather than simply grading assignments. MMA also provides students and faculty with the most up-to-date technology. This includes over 200 computers in various labs throughout the campus as well as smartboards, document cameras and projectors for teacher use. Cadets can even take electives that embrace technology, such as the Cinematography Arts and Photography Arts courses. Finally, MMA offers different learning initiatives. In support of Science, Technology, Engineering and Mathematics (STEM) subjects, cadets are provided with the most up-to-date computer science training. In fact, MMA offers the outstanding Cyber Patriot club to help students apply their computer science training. Because reading is fundamental to academic success, MMA’s English Department has established a new reading program to help cadets who are reading below their grade level. The Fast ForWord reading program is helping cadets can become stronger, high-level readers. Focusing in class, taking good notes and studying for tests can certainly help a young man perform better in school, but his success also depends on the support he receives. Academic success is often a partnership between students, parents, teachers and other school staff. Many students need support to make good grades in school. At Marine Military Academy, teachers help cadets who are struggling with a subject through mandatory tutorials. A certified counselor helps identify cadets with academic challenges and establishes an intervention plan if necessary. At MMA, several parent-teacher conferences are scheduled each year. Parents stay involved in their son’s performance through an online grade system, and they are encouraged to contact the teachers if they have any questions. Teachers and drill instructors are in constant contact to ensure that drill instructors are advised on each student’s performance and assignments. Every school day, there is a mandatory study period in the evening called Closed Call to Quarters (CCQ). During CCQ, cadet are required to be in their rooms, a study room or the library completing their homework and preparing for the following school day. Knowing this correlation, MMA has a strong program of physical fitness and one of the most modern dining facilities anywhere. Our cadets have a regular fitness routine and participate in challenging fitness activities throughout the entire year as they utilize the Leadership Enhancement and Development Complex. 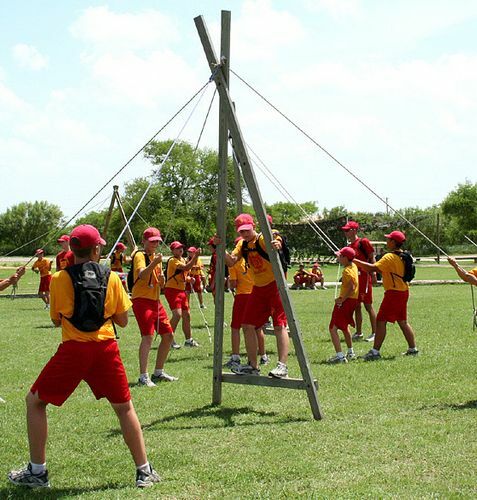 All cadets are also required to be involved in a supervised sport or activity each afternoon. 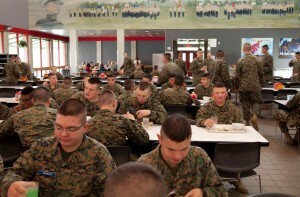 MMA’s dining facility receives glowing reviews from visitors and is the high point of the day for many cadets. Cadets enjoy nutritious, hearty and well-balanced meals. The cafeteria line always includes fresh fruit, an entree with side dishes, rolls or another form of bread, desert, juices and a salad bar. Cadets are encouraged to take as much as they like and come back for seconds. 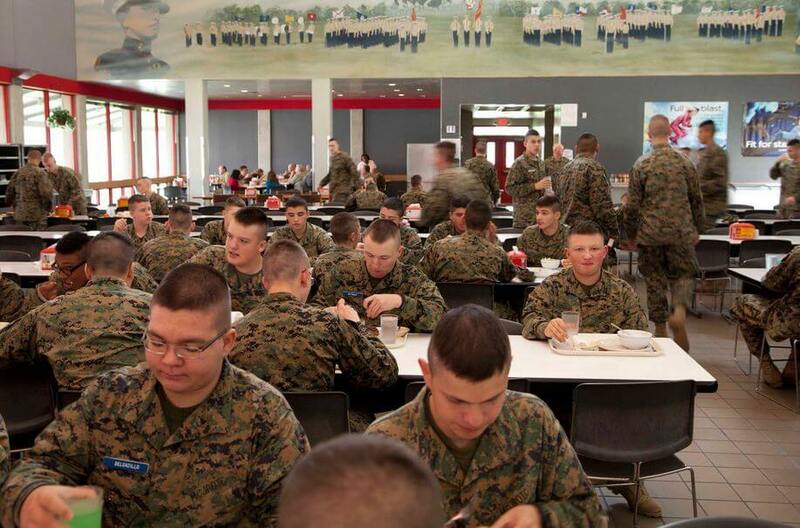 Our cadets do not leave the dining facility hungry! All Marine Military Academy cadets are members of the Marine Corps JROTC program. They attend classes and lectures that support the time-honored Marine Corps values of honor, courage and commitment. MMA knows that leaders are not born, but made. MMA teaches cadets the principles and traits of successful leaders through exercises and classes. This includes bringing in guest lecturers, such as the Commandant of Cadets for Texas A&M University. The leadership traits and discipline they learn at MMA help cadets achieve academic success the high school level, collegiate level and in their chosen career field. 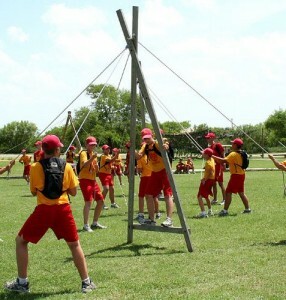 The Marine Corps JROTC program utilizes the LEAD Complex. The LEAD Complex not only increases their physical fitness, it helps the cadets build their problem-solving and teamwork skills. These attributes carry over to the classroom. Cadets learn to work together toward a common goal and attack any problem in a proven set of steps. Finally, the last factor that helps cadets achieves academic success is community service. Through the Boy Scouts, Key Club and other service-oriented clubs, MMA cadets donate thousands of man hour a year to the local community. By simply making time for others, MMA cadets learn how to manage their time. At MMA, there is always time to study. At MMA, the young man that walks across the stage on graduation day is a well rounded individual who has achieved academic success and is moving on to a bright future, ready for whatever challenges that he may face. Click on the image below to request information or check out the Marine Military Academy website.